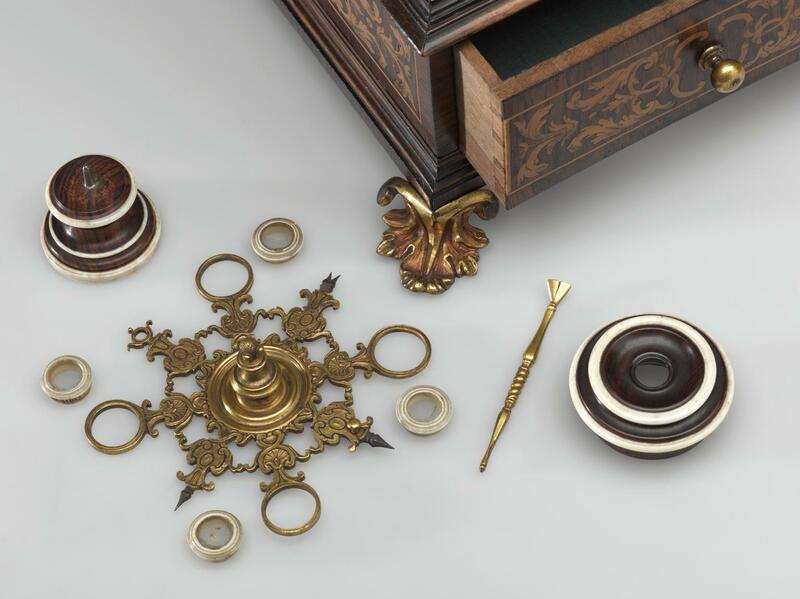 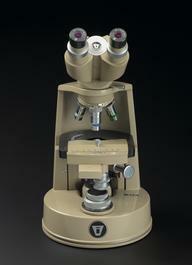 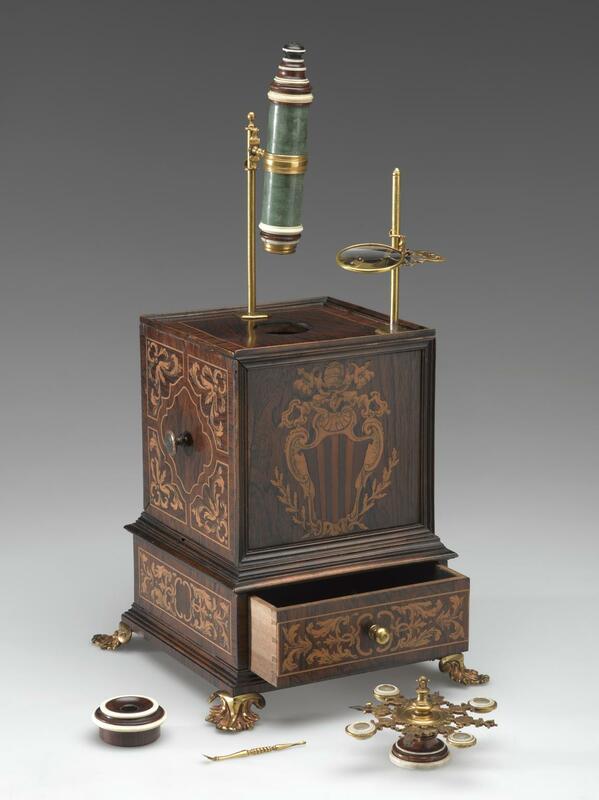 The high level of decoration reflects the status of this microscope’s former owner, Pope Benedict XIV. 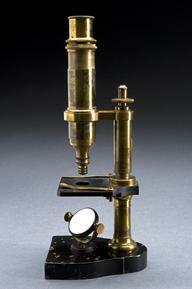 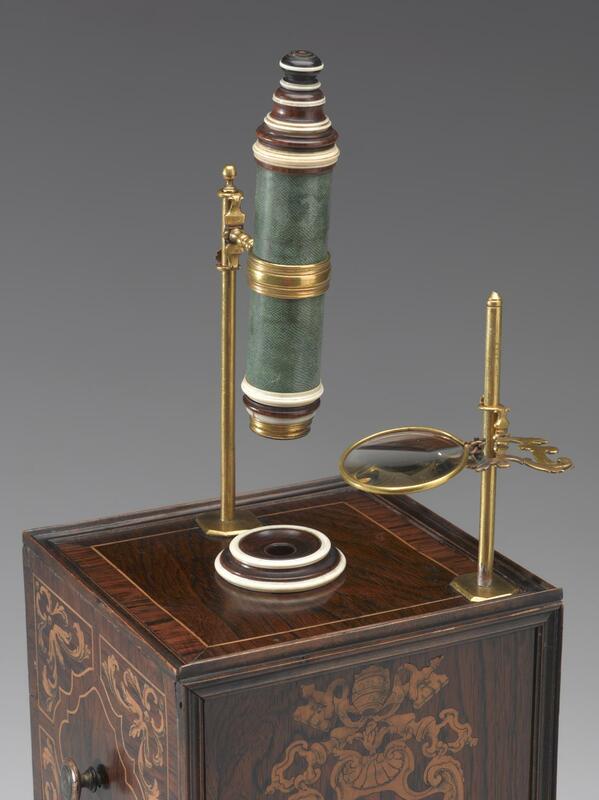 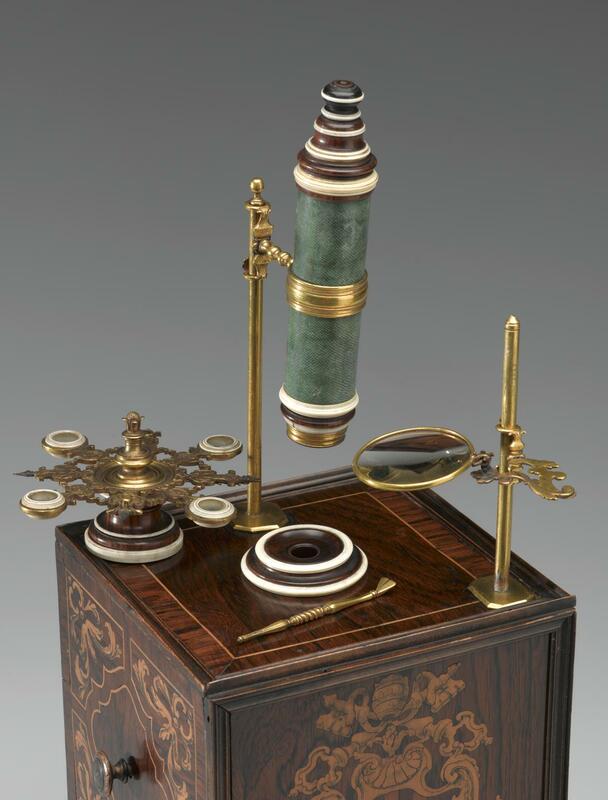 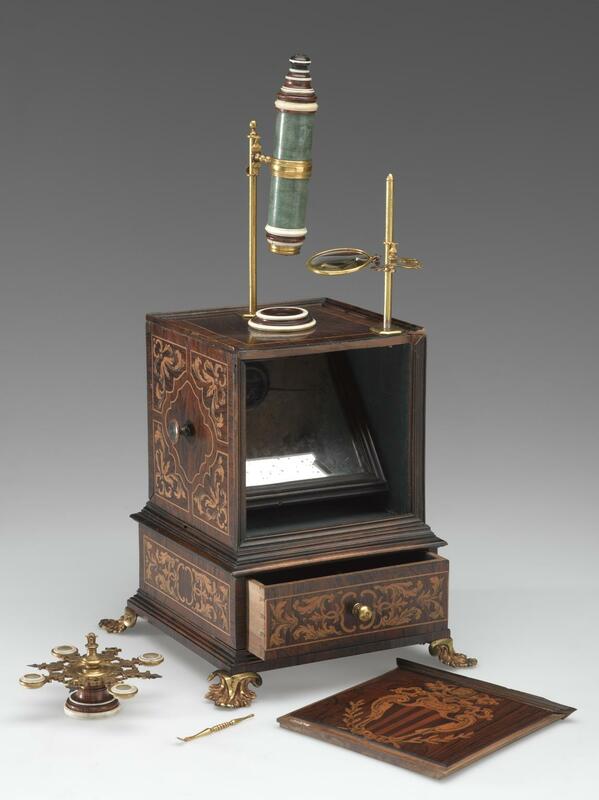 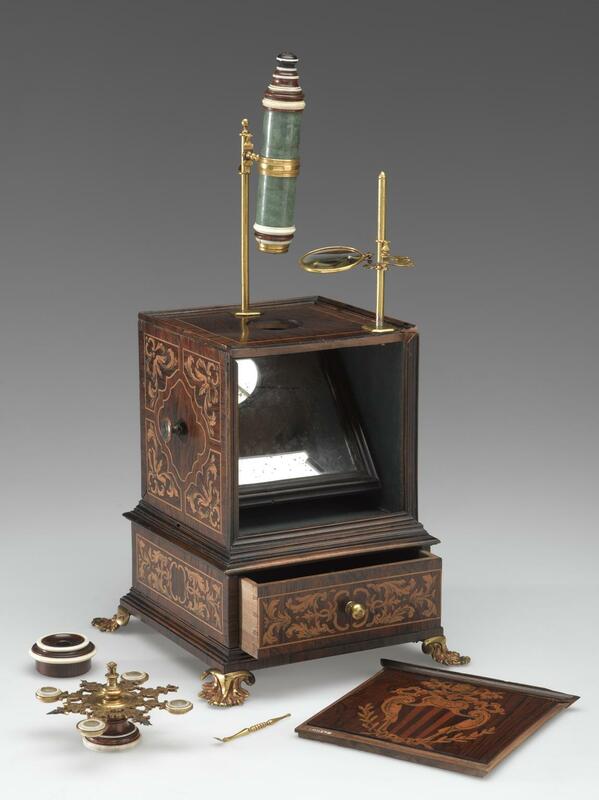 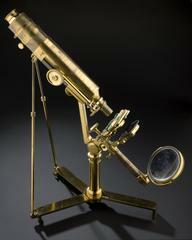 This is an example of a chest microscope, which were popular from the mid 1700s and throughout the 1800s. 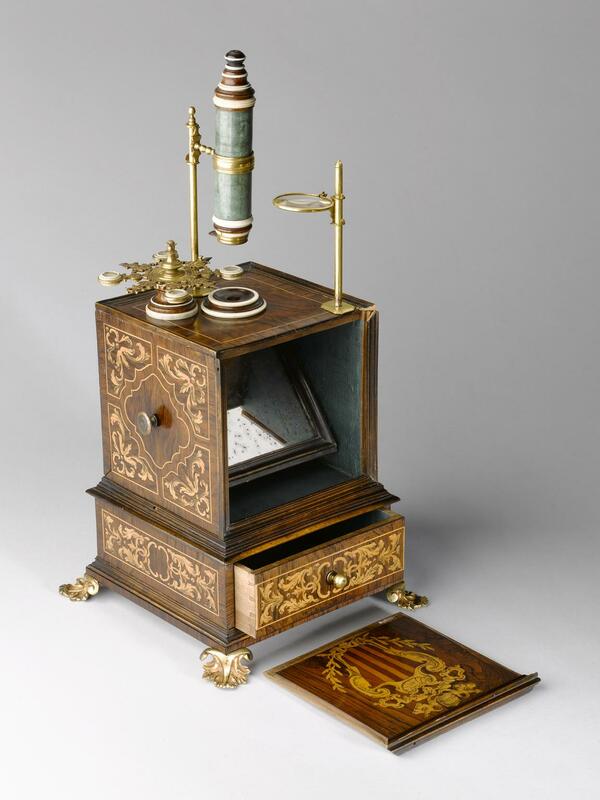 The microscope folds into the chest, which protects the tube as well as making the microscope portable – although this is quite a large example, measuring 395 mm high and 215 mm in width. 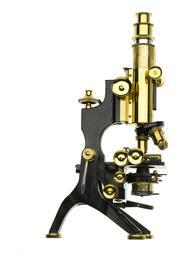 The lenses are also adjustable in height. 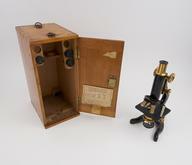 The top lens is protected by a brass cover and there is a drawer to store slides.